and tells your own inspiring story. The same way she creates her life, each woman can create her personal Delance, souvenir of precious hours or champion for her dreams. 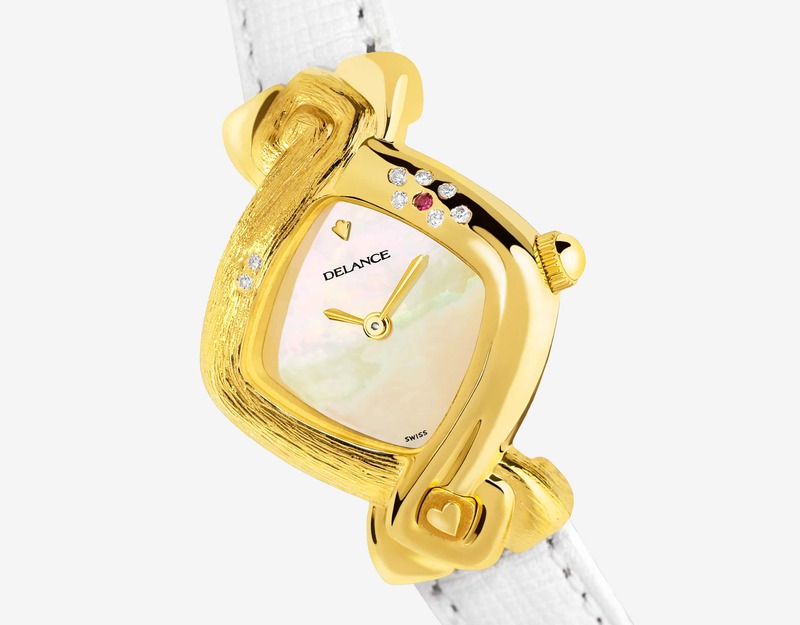 a unique Delance watch, as unique as she is. 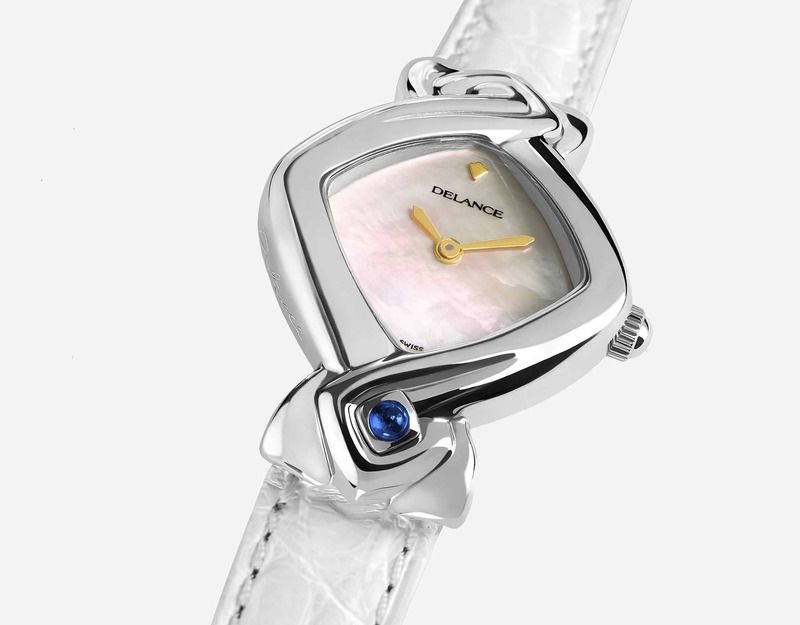 The diamond setting and the hand engraving transform the watch into a piece of art. 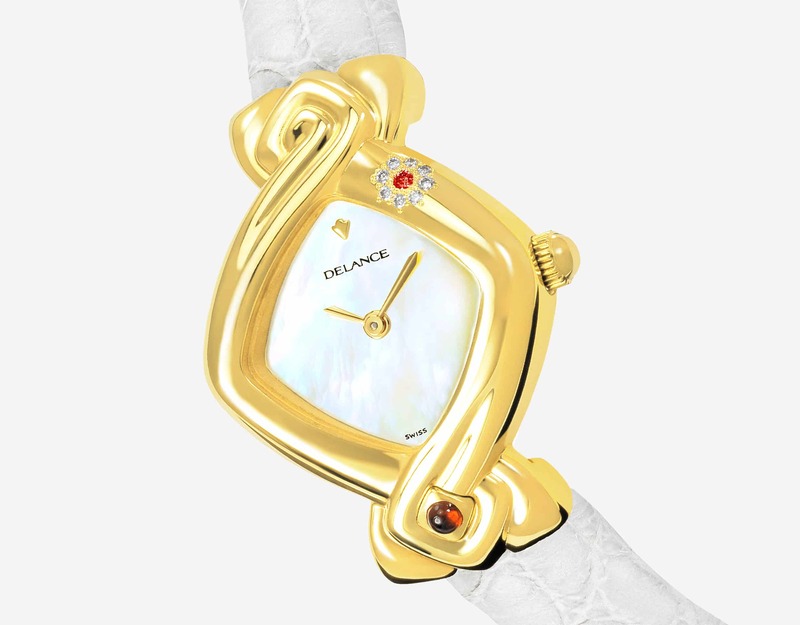 Whether it is inspired by an existing model or the result of a co-creation between you and the designer, your Delance watch will be your prestigious and symbolic piece of jewelry. 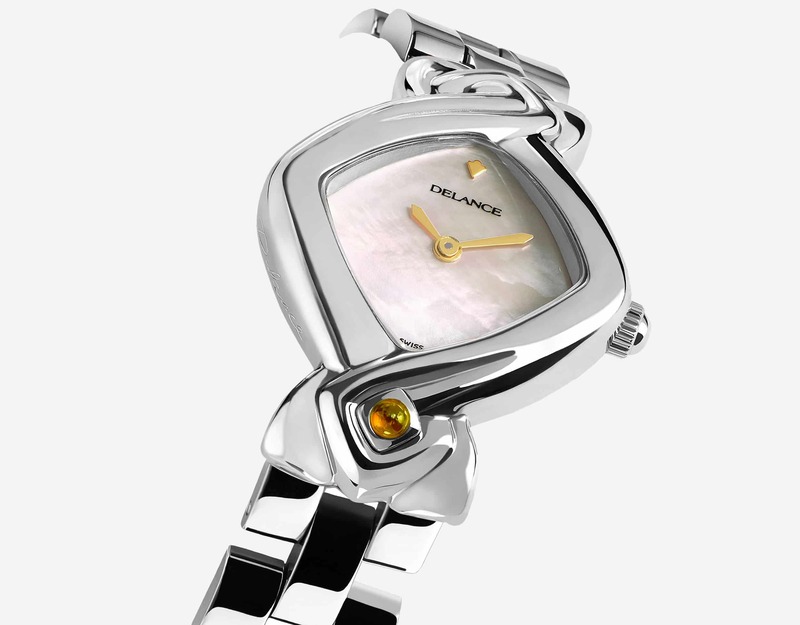 Bracelets and cabochons are interchangeable at the flick of a finger. 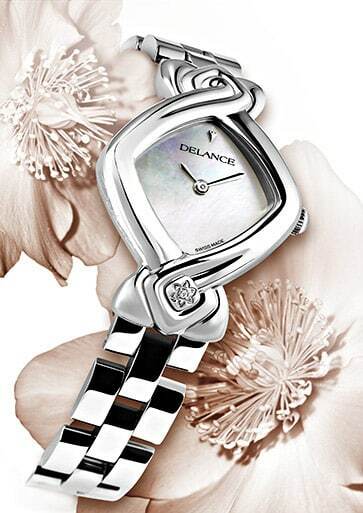 You have chosen your Delance watch and want to have it match your colors for the day. 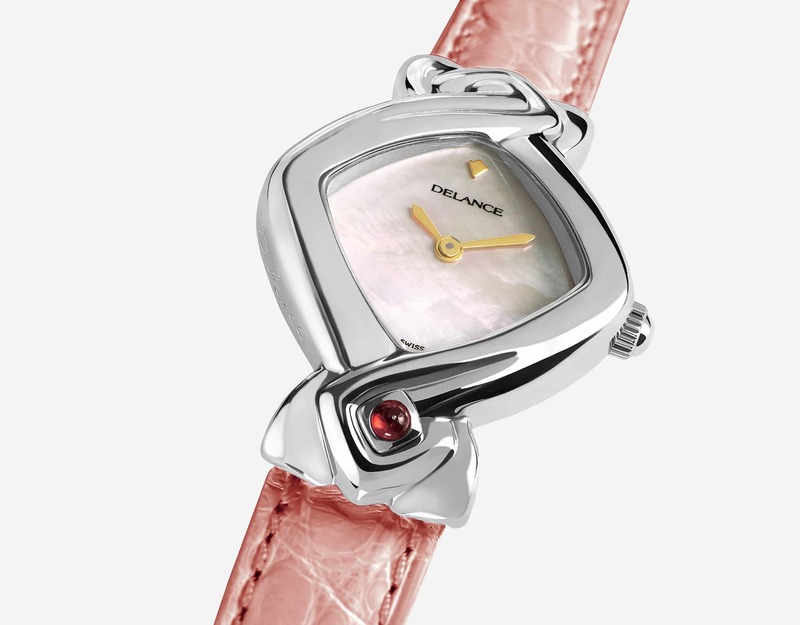 Easy: change the strap and the cabochon, and you have another watch. 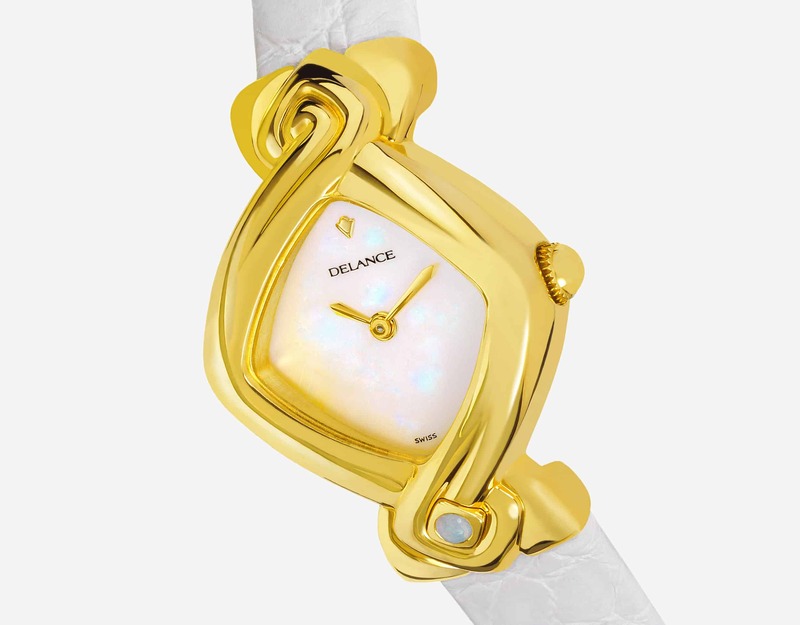 Refined masterpiece, the Delance watch is a true art work, a miniature sculpture on your wrist. In the Swiss Jura, talented craftwomen, heirs of traditional artisanship and state-of-the-art technology, craft these masterpieces one at a time, with love and commitment.